Get ready to save the Furries from the villainous Furax! Meet the Furries, simple-minded creatures who love to travel around space. Help them survive the perils that await them! Furries are cute little green creatures who just love visiting strange planets. Unfortunately, Furries are not the most intelligent of critters. They like to spend their time wandering into deadly situations involving galactic creatures, giant pits, mountain peaks, explosions and more... To help the Furries survive all 60 levels, you will need to rely on the laws of physics and use a whole range of different objects such as pinball flippers, ropes, crates and cannons... Just about anything can be used to help them make their way around the planet safely and avoid ending up as the evil Furax's dinner. 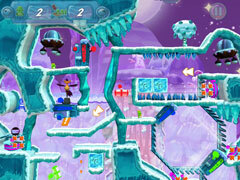 -Travel the galaxy helping the Furries survive in this fun Puzzle Platform adventure. 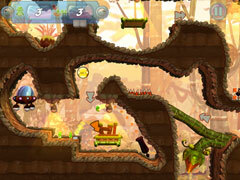 -Guide them through 60 levels avoiding creatures, giant pits, explosions, and more. 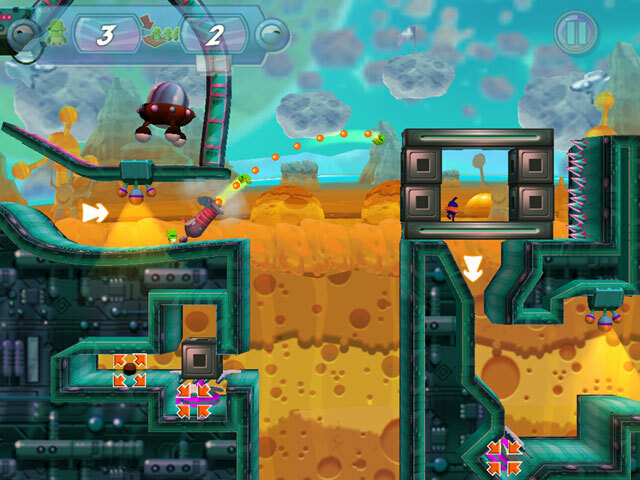 -Rely on the laws of physics using flippers, ropes, cannons, and other objects. -Unlock two extra playing modes for additional challenges. -Earn rewarding trophies for a job well done.